These scammers don't exploit technological vulnerabilities - they exploit human ones. With cryptocurrency fraud and IRS scams making headlines, I had thought Nigerian email schemes were a thing of the past, akin to the bygone days when a scammer might offer to sell you the Brooklyn Bridge. So I was surprised to recently come across an article about a 62-year-old Swedish divorcee named Maria Grette. She had set up a dating profile and soon received a message from a 58-year-old Danish man named Johnny who was working as an engineer in the United States. They wrote back and forth, starting chatting on the phone, and a relationship blossomed. Her new love interest had a son who was studying at a university in England, and the man said that he was looking to retire to Sweden. They made arrangements for a trip to meet in person there. However, before heading to Europe, Johnny needed to take a side trip to Nigeria for a job interview. That's when things took a turn. Maria received a desperate call from Johnny. He and his son had been mugged, the son had been shot in the head, and they were in a Lagos hospital without any money or identification. They desperately needed funds transferred into his British bank account to pay for medical expenses and a lawyer, and Maria eagerly obliged. Several thousand euros later, she realized that she had been had. As a psychologist, I was struck by the tenacity of this scam and others like it. I wanted to know how they operate - and what psychological tendencies the Nigerian scammers exploit to continue duping people to this day. "Nigerian Prince" scams are also known as "419 scams," a reference to the Nigerian penal code designed to deal with them. They are notoriously difficult to prosecute for both Nigerian and foreign authorities. Victims are often too ashamed to pursue the case, and even when they do, the trail quickly goes cold. In its earliest incarnations, the scam involved someone claiming to be a Nigerian prince sending a target an email saying he desperately needed help smuggling wealth out of his country. All the target needed to do was provide a bank account number or send a foreign processing fee to help the prince out of a jam, and then he would show his gratitude with a generous kickback. These scams really do appear to have begun in Nigeria, but they can now come from almost anywhere - people posing as Syrian government officials is one the current favorites. Nevertheless, the "Nigerian Prince" moniker persists. 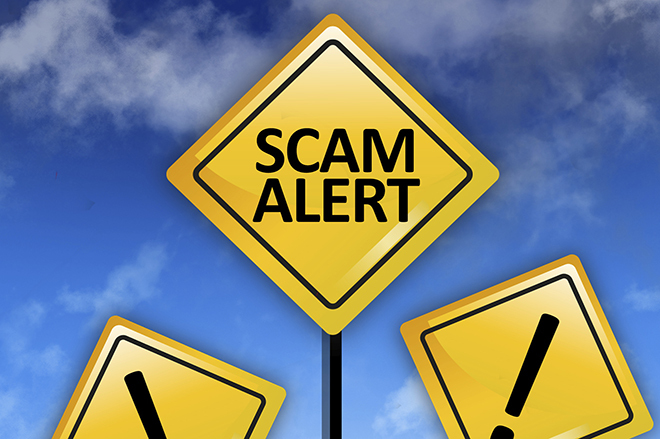 But today's 419 scams can involve dating websites, like the one that ensnared Maria Grette. Wealthy orphans claiming to need an adult sponsor, lottery winners saying they're required to share their winnings with others, and inheritances trapped in banks due to civil war are also common ploys. Reporter Erika Eichelberger spent time with Nigerian scam artists in 2014. She found them to be surprisingly forthcoming. She reported that most scammers tended to be ordinary people, such as university students or people working low-paying jobs, who discovered that they could make fabulously more money - as much as $60,000 per year - scamming. In most cases, after establishing a connection and cultivating a relationship, the scammers eventually get around to persuading their targets to provide their bank account or credit card information. They prefer to pursue 45-to-75-year-old widowed men and women. The thinking goes that this demographic is most likely to have money and be lonely - in other words, easy marks. With all of the recent advances in computer security and anti-virus software, we might think we're immune. But 419 scams don't exploit technological vulnerabilities. Instead, they exploit human ones. We did not evolve to live in a world of strangers. Our brains are wired to live in relatively small tribes in which everyone's character and past behavior is well-known. For this reason, we overconfidently ascribe qualities to someone we've never met in person but have corresponded with. Relationships - and trust - can form quickly over email and social media. This inherent naivete makes us easy prey. In addition, most of us profess unrealistic optimism about our own futures - our grades will be better next semester, a new job will be much better than an old one, and our next relationship will be the one that lasts forever. Furthermore, research shows that we consistently overestimate our knowledge, our skills, our intelligence and our moral fiber. In other words, we truly believe that we are savvy and that nice things are likely to happen to us. The good fortune coming our way courtesy of Nigeria may not seem so far-fetched after all. Then there are the scammers' methods. They utilize the foot-in-the-door technique - a small, innocuous request - to draw their targets in, perhaps something as simple as asking for advice about what to see on vacation in the mark's home country. When victims acquiesce, they begin to perceive themselves as someone who provides help. Through a series of baby steps, they move from doing small favors that cost little to giving away the store. Studies have shown that once people publicly commit themselves to a course of action, they're unlikely to reverse course even when the circumstances change. Other studies have shown that people seem to have an irresistible urge to escalate commitments to bad decisions. Changing course is cognitively difficult because not only is it an admission of a bad decision, it also means giving up any hope of recouping our losses. So once someone invests money into something risky - whether it's a pyramid scheme or a day at the casino - they may keep throwing good money after bad because it seems like the only way to get anything back. Is this what happened to Maria Grette? In a remarkable turn of events, she eventually tracked down the 24-year old man who had claimed to be "Johnny" and went to Nigeria to meet him. Incredibly, they formed a genuine friendship, and Grette ended up giving "Johnny" financial assistance so he could finish a degree at an American university. And no, "Johnny" never did return the money - his scam turned out better than even he could have ever imagined. You Wake Up Hearing Your Smoke Alarm – Now What?